It is very hard to believe that our little one year adventure has turned into this! We are still enrolled in the Montessori school run by Debbie here in Progreso. I believe that our boys will finish grade 6 in this little school before we have to decide which of the other schools they will be going to for their junior high years. The boys are just starting their FOURTH year of school in Mexico and are loving it! Evan has just started grade 5, and Noah is now in grade 3. Both of them have new teachers this year and are very excited. They each have 6 children in their grades and a total of 12 children in each of the classrooms. I believe that this year there are 82 students attending this kindergarten to grade six school. Noah’s teacher is Luis and I believe that the two of them are off to a fantastic start – Luis will ensure that Noah’s home work book is written in every day so that Noah cannot tell us ‘he already did it at school’ every day. The boys even had the time to do their own hair today, which was very exciting for all of us! I think they did a great job and looked absolutely fantastic. 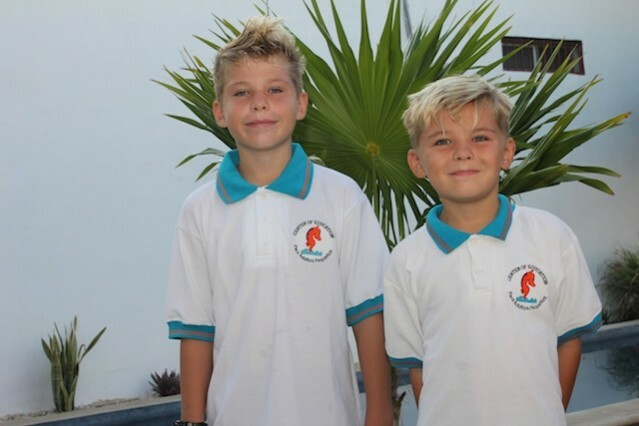 We are looking forward to a fantastic school year and wish the boys all the best on their new grades! We are planning two months in the Yucatan this upcoming winter and wondered if we could pick your brain with a few questions about Merida/Progreso. I couldn’t find an email address for you so thought I’d leave a comment here. We are planning to go this February and March and are debating about whether to base in Merida or Progreso for our short sabbatical. We won’t plan to have a car while there. Also wonder if we should book a place to stay before getting there or would it be likely to find a place once we arrive? We usually do that, but this time I’m feeling like keeping it easy–but then, don’t want to pay the gringo discount. It looks like there’s a lot on airbnb. We have four kids, ages 14, 13, 10, and 5, and we’re homeschoolers. We’ve never been to Mexico but have spent 6 months in Belize and 3 months in Costa Rica. We could see placing them in a school as a cultural/language immersion–we did that in Costa Rica–but not sure if there’s any opportunities for that there. If you get a chance, would you mind dropping me an email with any thoughts? It would be MUCH appreciated! And it would be great to meet you once we’re there.